“Calm down dear!” Are you feeling “stressed out”? Both men and women can suffer with feelings of overwhelm when it all gets too much. 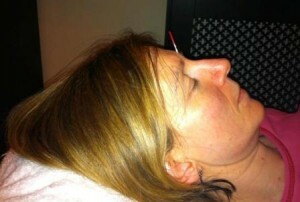 Acupuncture is fantastic for deeply relaxing you by regulating your mind and emotions, as well as your physical energy. This can alleviate other stress symptoms such as sleep problems and anxiety. The Yin Tang point or off switch in the accompanying image is ideal for those who really can’t relax. Acupuncture treats pain effectively. There’s no need to suffer in pain any longer. Acupuncture treatment gives effective, lasting relief from a wide variety of acute and chronic pains (low back pain, joint pain, headaches and period pain). 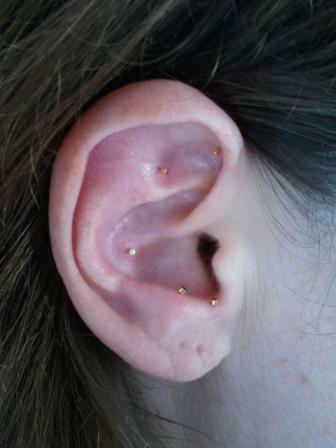 We can also offer the newest form of acupuncture for pain relief in Battlefield Acupuncture. Acupuncture can successfully turn breech babies. If by week 33 of pregnancy, your baby’s head is not down, your acupuncturist can encourage the baby to turn by heating a single point on the foot. This can be safely performed up to 39 weeks. Find out more about acupuncture for pregnancy and acupuncture and fertility. Acupuncture is holistic. Your acupuncturist will treat the whole of you so we will consider your ‘whole’ lifestyle with you – diet, exercise and stress – empowering you to make changes to complement your treatment for lasting resolution. Your treatment will be specific to you, restoring your health. You don’t have to be ill to receive Acupuncture. Acupuncture will always seek to maintain your unique balance preventing imbalances from becoming established. It is therefore a powerful preventative medicine. 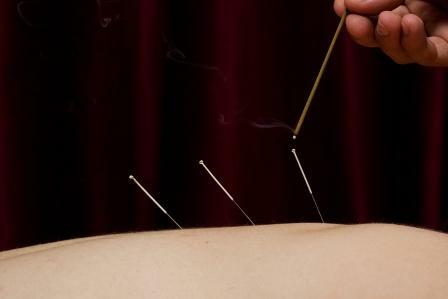 Acupuncture needles are hair thin and adverse reactions rare. The very fine needles come in sterile packaging and are disposed of after one use. No ‘substances’ are put into your body eradicating unpleasant side effects or dependency. Acupuncture is not painful. A sensation is sometimes felt during the insertion of a needle but once in most people feel deeply relaxed.